Get the best of both worlds, Meltdown and Kapow. 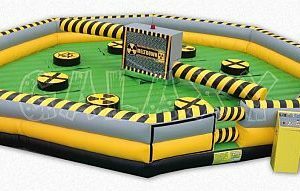 However, only one arena can be ran at a time. 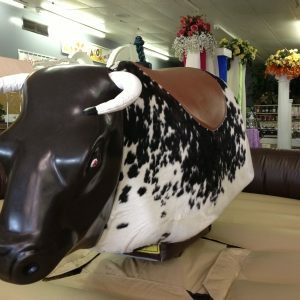 Meltdown Redneck interactive game comes with a trained operator to work the game for you and your guests. Try and stay on your pedestal while you duck for cover or jump over the poles. Be careful it’s an addictive challenge for all! 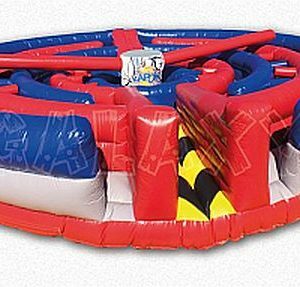 Two on at a time to take the challenge… 30×30 inflatable maze with 2 padded poles spinning your direction, duck before it gets you!!!! Comes with a trained operator to work the Kapow for you and your guests.